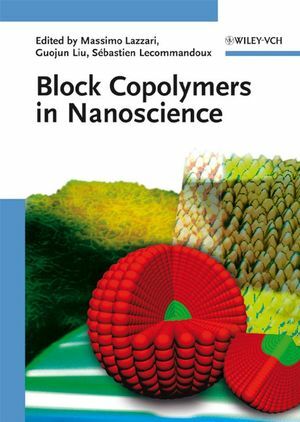 This first book to take a detailed look at one of the key focal points where nanotechnology and polymers meet provides both an introductory view for beginners as well as in-depth knowledge for specialists in the various research areas involved. 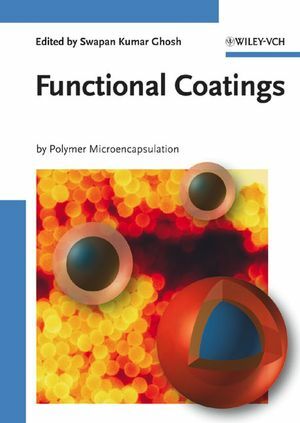 It investigates all types of application for block copolymers: as tools for fabricating other nanomaterials, as structural components in hybrid materials and nanocomposites, and as functional materials. The multidisciplinary approach covers all stages from chemical synthesis and characterization, presenting applications from physics and chemistry to biology and medicine, such as micro- and nanolithography, membranes, optical labeling, drug delivery, as well as sensory and analytical uses. Massimo Lazzari received his PhD in Macromolecular Chemistry at the University of Torino (Italy) under the supervision of Prof. O. Chiantore. After a two years postdoctoral work with Prof. K. Hatada at the Osaka University (Japan), where he learned the secrets of anionic polymerisation, in 1998 he became assistant professor at the University of Torino, working on the characterisation and degradation of complex polymer systems. After several stays at the University of Santiago de Compostela (Spain), he is actually in the Institute of Technological Investigacions. His current research interests are focused on the synthesis of self-assembling block copolymers, with a special attention on their use as templates and for the hierarchical self-assembly of metal nanoparticles. Guojun Liu received his Ph.D. degree from the University of Toronto in 1989. After 8 months as a post-doctoral fellow in the University of Toronto, he joined McGill University for another post-doctoral year. He was appointed assistant professor at the University of Calgary in 1990, promoted to associate professor in 1995 and full professor in 1999. Since 2004 he has been serving the Department of Chemistry at Queen's University as Tier I (senior) Canada Research Chair in Materials Science. He has published more than 100 papers mostly on block copolymer nanomaterials. Physico-chemist of formation, Sébastien Lecommandoux has integrated the Centre de Recherche Paul Pascal (group of Professor Françis Hardouin, Bordeaux, France) in 1992 to prepare his Master and his Diploma Thesis in Chemistry and Physics (1996) on Liquid Crystal Polymers. Then, he went to the Material Research Laboratory and the Beckman Institute (University of Illinois at Urbana-Champaign, USA), as a Post-Doc in the group of Professor Samuel I. Stupp, and learned the Art of Supramolecular Chemistry from January to December 1998. He joined the Laboratoire de Chimie des Polymères Organiques (CNRS, University of Bordeaux, France) as Associate Professor in 1998 and became Professor in 2005. He received the Bronze Medal Award from the CNRS in 2004 for the work he did on the self-assembly of polypeptide-based block copolymers. His current research interests mainly focus on macromolecular engineering via block copolymer self-assembly in solution and in bulk, with a special attention on the relation-ship between nanostructures and biological functions.